Get in touch to find out if there are any stock units for sale in Ontario. Explore current SchellVac Equipment's Line of Hydrovacs. We constantly have Hydrovacs for sale in Ontario. Ranging from the 72" spread SVHX9 and SVHX11, 9 yard and 11 yard hydrovac models, to the SVHX12 pusher axle hydrovac. 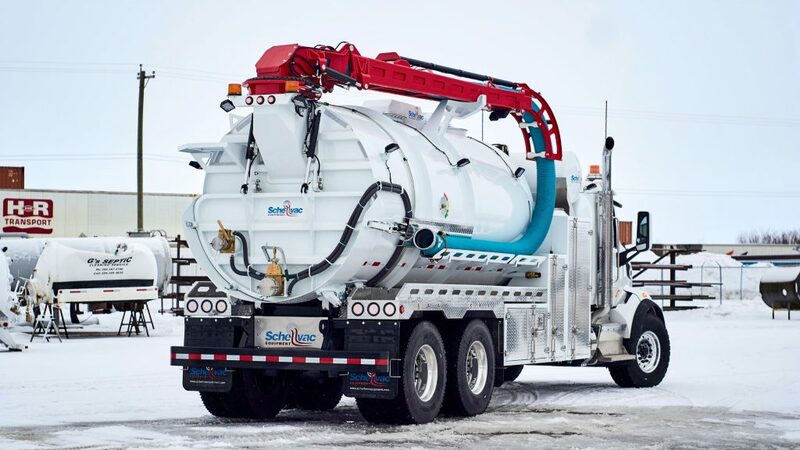 With SchellVac's huge variety of offered truck mounted equipment, we can serve a bunch of different industries and needs. Our Hydrovacs are used in different ways by different people and companies. by exposing utilities in cities and major urban areas, horizontal drilling, sludge tank pumping, pressure washing, to oilfield and pipeline services. We're the only Hydrovac sales and service provider in Ontario you'd need. All of our Hydrovacs for sale come with a standard great warranty on our equipment and state of the art built quality, durability, and winterization for Ontario. Moreover, we only put the best equipment on the best chassis (customer may choose make and model). Haven't found what you were looking for? Let our team of experts consult you on which choice of equipment suits your needs and wishes best. Sometimes a little chat can save you a lot of money and you end up with a truck that is performing and working for you. We offer 3 designs for Ontario, which are either SPIF21 or SPIF23 compliant. We make sure you get the most out of the truck's payload for your Ontario specific weight regulations. Don't let a heavy unit restrict you from being profitable. Contact us to find out if there are any stock hydrovacs for sale in Ontario right now. Contact us for all your demo and sales needs in Ontario.